Just finished reading this book. I was tweeting a few quotes as I was reading the book. Here is the full list. Before you read the quotes, please remember the context Charlie was mostly answering questions about being an Investor. Let us first look at these quotes. There is no way you can live an adequate life without making many mistakes. The best thing a human being can do is to help another human being know more. Being an effective teacher is a high calling. Those of us who have been very fortunate have a duty to give back. Whether one gives a lot as one goes along as I do, or a little and then a lot (when one dies) as Warren does, is a matter of personal preference. Spend each day trying to be a little wiser than you were when you woke up. Day by day, and at the end of the day-if you live long enough-like most people, you will get out of life what you deserve. What are the secret of success? One word answer: rationality. There’s only one way to the top: hard work. Do what you like and are good at. Quickly eliminate the big universe of what not to do, followup with a fluent, multidisciplinary attach on what remains, then act decisively when, and only when, the right circumstances appear. If you always tell people why, they’ll understand it better, they’ll consider it more important, and they’ll be more likely to comply. …it never ceases to amaze me to see how much territory can be grasped if one merely masters and consistently uses all. My habit of committing far more time to learning and thinking than to doing is no accident. Some people are extraordinarily good at knowing the limits of their knowledge, because they have to be. So the game is to keep learning, and I don’t think people are going to keep learning who don’t like the learning process. You need to like the learning process. If you’re capable of understanding the world, you have a moral obligation to become rational. For me there were many takeaways. There is a note of warning. Whoever edited this book did not do a good job. There are too many repetitions. Please remember it if you buy and read the book. Despite bad editing, the book is full of gems. So it is worth a read. The importance of reading. I do read though not anywhere near being “a book with a couple of legs sticking out.”. When we were programming in early 70s, we spent far more time learning and thinking than doing. Now it is very different. There is a lot more doing. 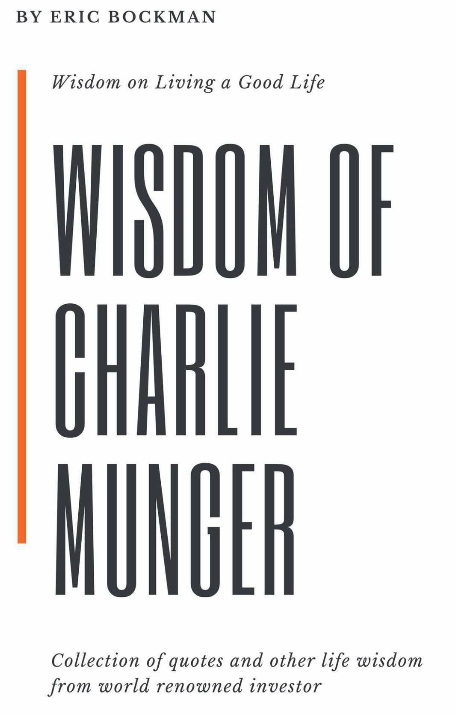 Charlie’s quote “This habit of committing far more time to learning and thinking than to doing” is right on. Spend each day trying to be a little wiser than you were when you woke up. This can be a powerful micro-habit and a daily goal to shoot for. Today, social media is my primary news source for many areas I’m interested in. That’s not a function of the platforms themselves, but rather of who I’m connected to—experts in particular fields who have ready access to information that would be hard to find anywhere else. Most of the technical books I read and the webinars I attend come from some of the most influential people I follow on Twitter. I do have a List called News on Twitter and follow most of the popular news sources in India and US. However, I visit it a lot less and prefer to read from my “Daily” list. The people I choose to follow are my filters. I read their posts more than I do the “other” reading. 14 Ways to Acquire Knowledge: A Timeless Guide from 1936 by Maria Popova is a great read. Here are a few fragments from the original post. There is a lot more to read and reflect upon. If you must read in order to acquire knowledge, read critically. Believe nothing till it’s understood, till it’s clearly proven. To know it — write it! If you’re writing to explain, you’re explaining it to yourself! If you’re writing to inspire, you’re inspiring yourself! If you’re writing to record, you’re recording it on your own memory. To learn, experiment! Try something new. See what happens. Lindbergh experimented when he flew the Atlantic. Pasteur experimented with bacteria and made cow’s milk safe for the human race. Franklin experimented with a kite and introduced electricity. If you would have knowledge, knowledge sure and sound, teach. Teach your children, teach your associates, teach your friends. In the very act of teaching, you will learn far more than your best pupil. I am fascinated by Machine Learning (ML) and keep looking for case studies were ML solves real world problems. 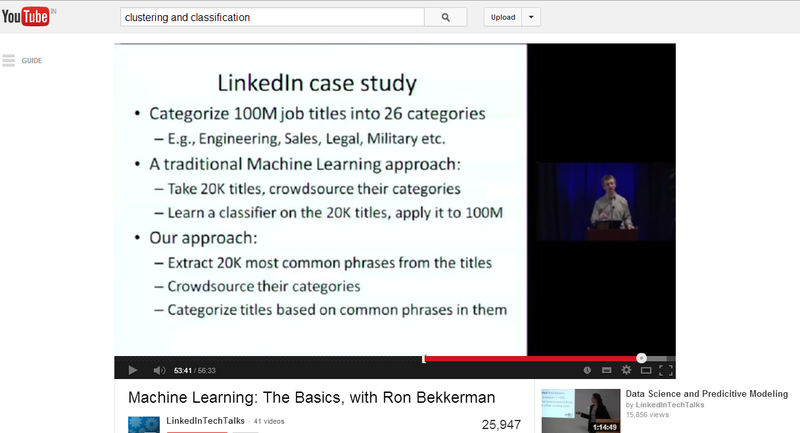 This Talk – Machine Learning: The Basics by Ron Bekkerman( video), provides a great overview of machine learning and how it is being used by LinkedIn for Job Analysis. LinkedIn is one of the early companies to jump in to Data Science. With over 200 million subscribers, they have ample data to analyze. The data is very contextual too and that helps build better algorithms (they claim 95% accuracy in prediction in a specific case). At one point in the talk Ron mentions that the ML study helped in building a product that generates about 6 million dollars in revenue for LinkedIn. That is great pay off. If you are in the (IT staffing) industry, you may want to know what kinds of jobs are in demand? And which ones are growing and which ones are shrinking? 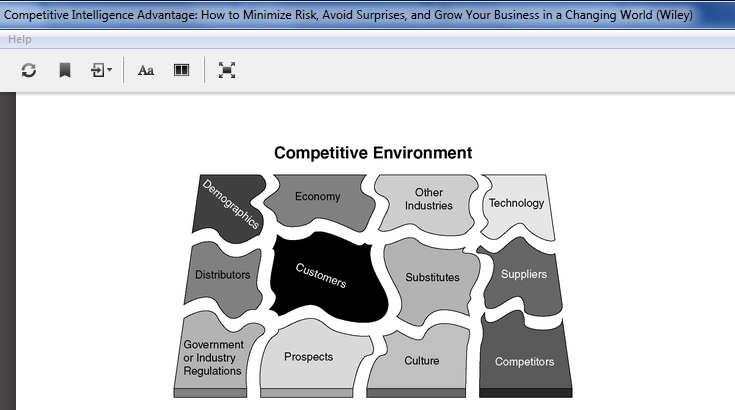 What kinds of skills are in demand for startups, medium sized companies and large enterprises? 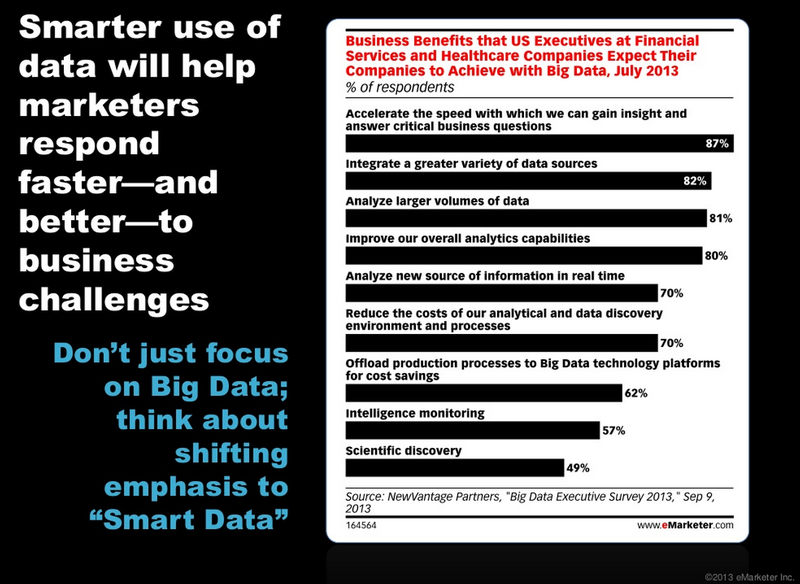 Lots of people from startups to training companies can use this data to build and tailor their offerings. 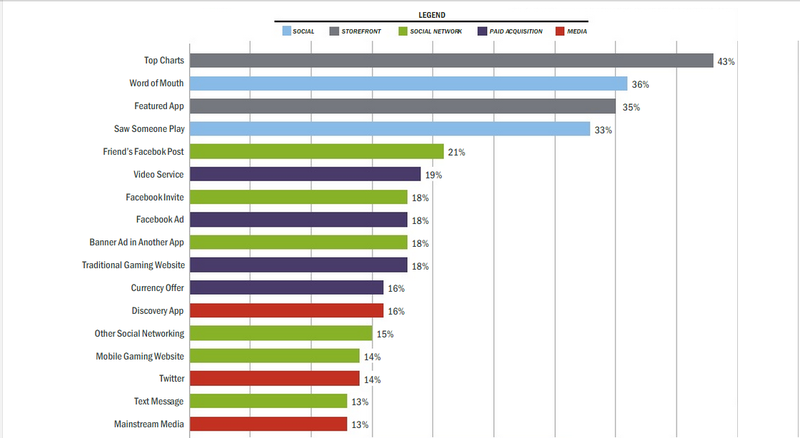 How do training companies and conference organizers meet the need for skills using job analysis? Ultimately, it is all Market Intelligence of a kind. It is fascinating that, now we have large data to analyze and get some glimpses into the patterns of demand/supply. So where do you get all this data from? That is a topic for another blog post. One of our interns is working on an app to do Job Classification and automatic tagging of jobs. We were debating whether we should use some simple techniques or ML. I was going around looking for case studies and stumbled upon this video.